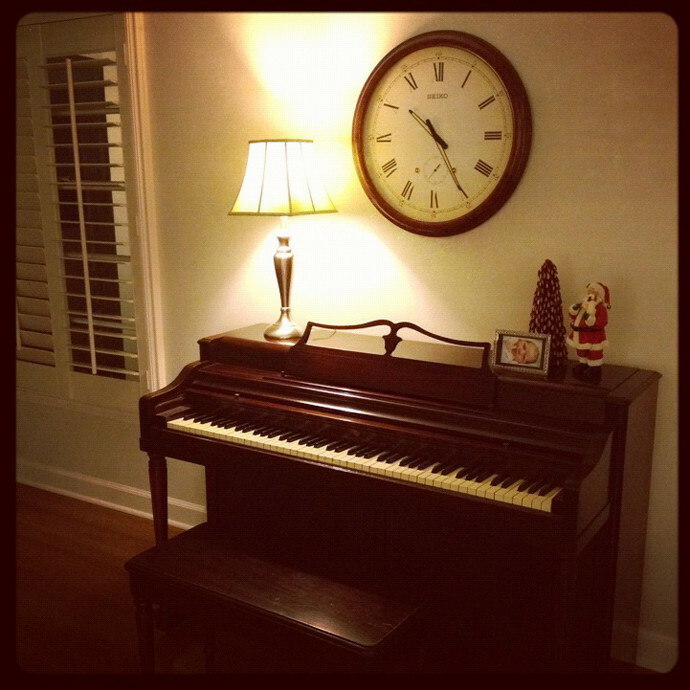 Thanks to the wonderful generosity of my Uncle Gregg, we now have a 1952 Wurlitzer piano. I'm so excited! It fits nicely in our 1954 house. You may or may not know this, but I took piano lessons for 14 years growing up, culminating in a solo senior recital with a set list of probably 12 songs. I'm not the most naturally talented musician (I can't hear a song and just sit down and play it)...but I do enjoy playing and look forward to hearing little Jerkins children play it one day too! In other news, Sister and I completed the 5K Goal this past Saturday! It turned out to be really really fun. I couldn't run the whole time, but we ran mostly 8-10 minute stretches with 2-3 mins walking in between. We have tenatively decided to try to do one 5K every month! and perhaps by next year, I'll be in good enough shape to train for the St Jude Half Marathon again. Also, I wanted to publicly thank Leslie P for her post about having-things-on-your-plate (how else to term it?). Go over and give it a read, if you haven't. Les, what most impressed me was that you know what size your plate is. I really have no idea. I think I'm somewhere in between a dinner plate and a platter, even before this working-mom stuff... but with the countless things in my life that NEVER get done, part of me suspects I just have a very full and cute little salad plate. Who knows?